First and foremost, choosing the right executor for your estate is a very important decision. While some couples default to making this choice based on family hierarchy (such as choosing the oldest child), in fact, it makes more sense to choose someone who has the right skills for the job—someone who is known for being especially ethical, organized, and responsible. Also note that many banks will often provide trustees or professional fiduciaries, which could be a wise choice in terms of avoiding potential family drama. One thing that may surprise you is just how much sentimental value certain personal property items may hold to family members, and, as a result, there is a lot of potential to argue over those items. Make sure that you sit down with your family members ahead of time to figure what is most important to each person and make those decisions about who gets what now. You also have the option of telling the executor of your estate to simply sell any item that is of dispute that family members absolutely cannot agree on. Discussing any unusual bequests ahead of time is also extremely important. If you are planning to do anything other than an equal distribution, schedule a family meeting ahead of time and explain your reasoning behind it. Remember that if these things are not explained ahead of time, your loved ones will often come to their own conclusions. While of course it does not make sense to provide a large sum of money to someone who is too young to properly handle it, you also do not want to tie up money for too long. For example, estates that only allow for children to inherit anything once that the surviving spouse dies can tie up money for a significant amount of time and end up breeding resentment in those relationships during that time. Also keep in mind that some provisions that dole out inheritance based on certain “milestones” (such as turning a particular age) can sometimes create the impression that those doing the inheriting are untrustworthy–that they are being provided with an indictment by their parents. 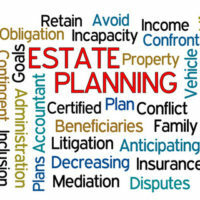 Going about estate planning in the right way can make a huge difference. In doing so, you want to make sure that you work with effective representation that embraces the right philosophy and maintains strong communication on all fronts. Our Orlando, Florida attorneys have helped countless families peacefully go through the estate planning process. Contact our estate planning attorneys at Gierach and Gierach, P.A. today to find out more about our services.